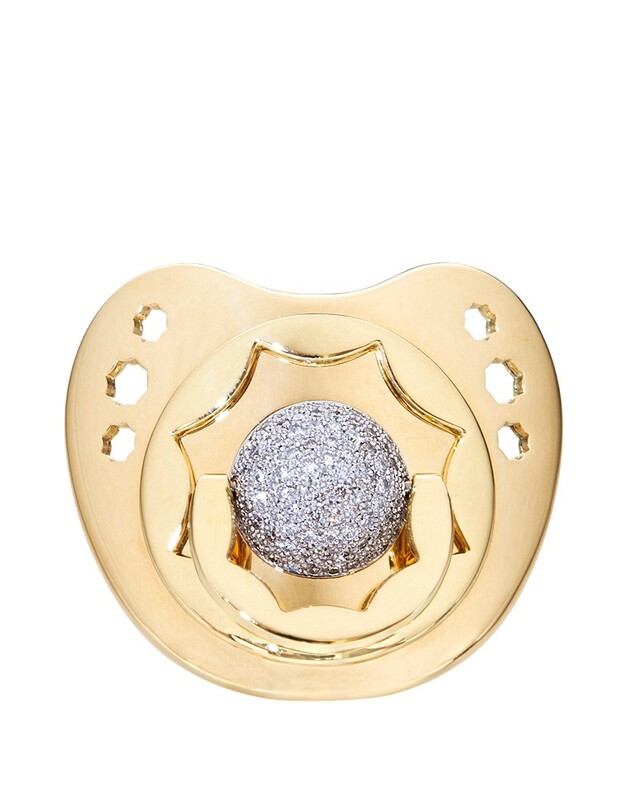 Your prince or princess deserves a unique welcome into this world. 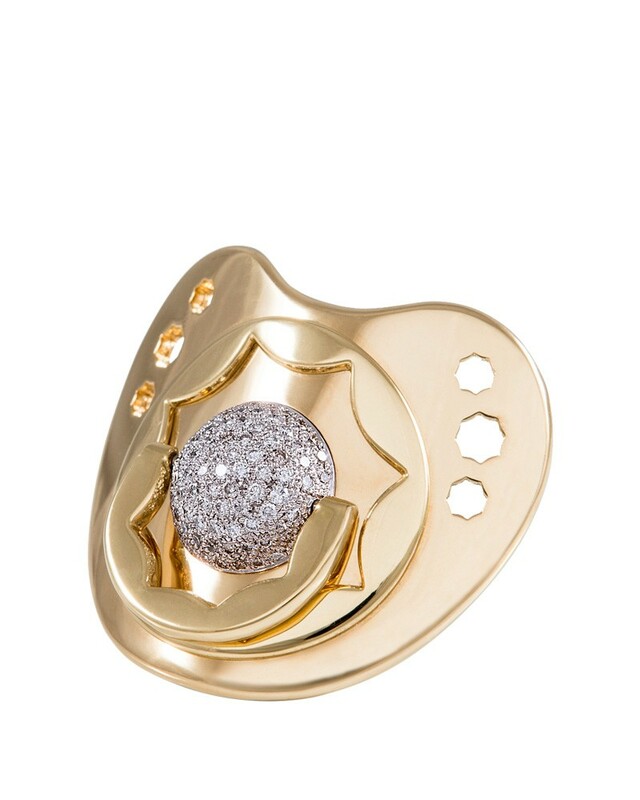 We have created this precious jewel, in the shape of a pacifier to be a delight for the senses. 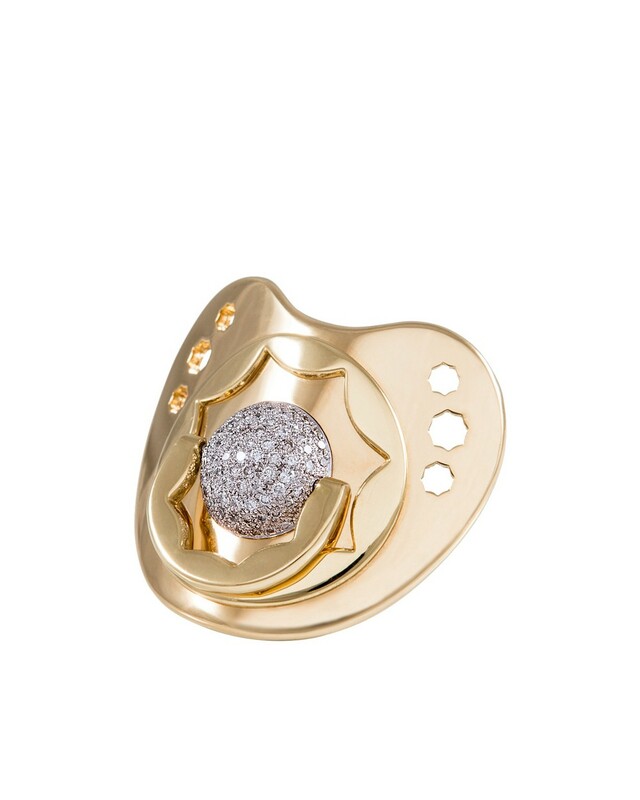 It is entirely handcrafted in 18k yellow gold and diamonds so that you, the proud mum, will be delighted to wear it. 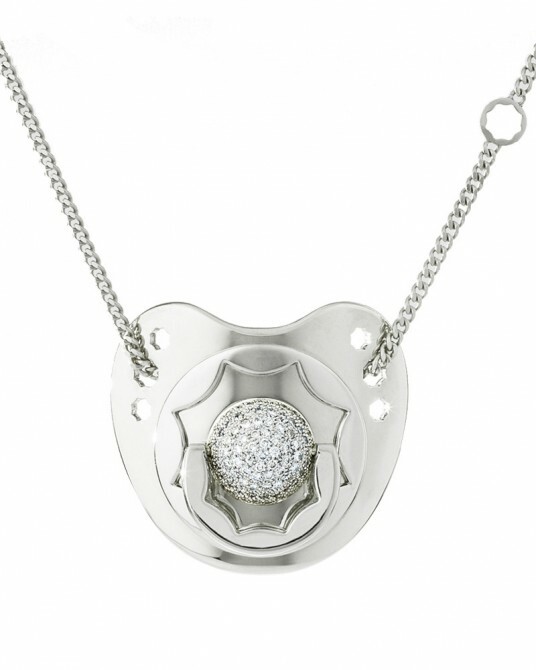 When you withdraw the teat, it becomes a splendorous clip or pendant, uniquely combining design with versatility. 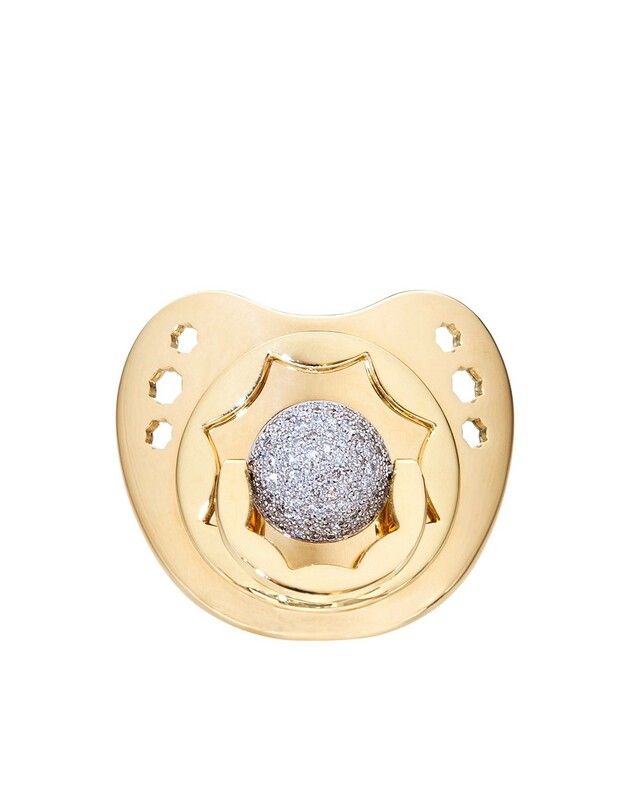 The Dodo Dummy in Diamond and Pure Gold is the first jewel for your baby and a charming memory to have by your heart, in the place where love resonates, like the sweetest melody. 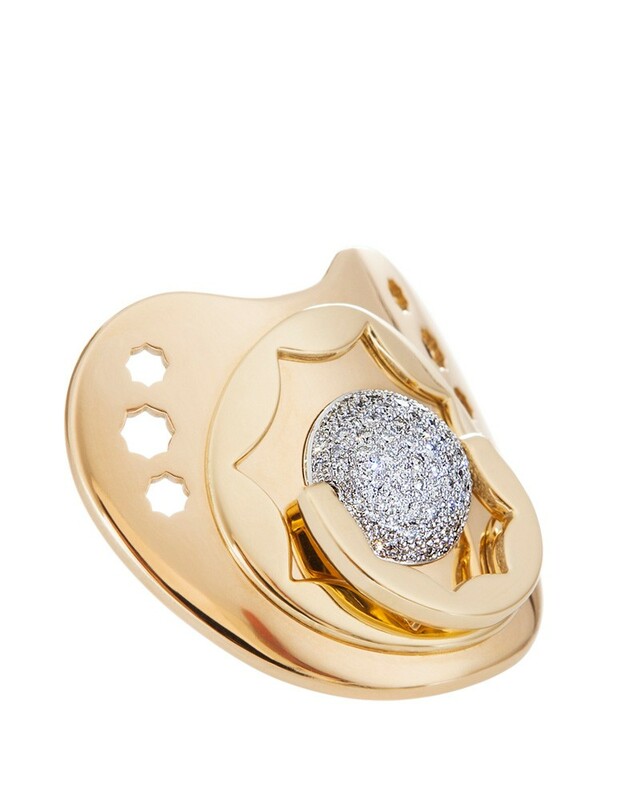 This is the only precious metal to possess a yellow colour in its natural state. Unaffected by air and moisture, gold jewellery retains its original lustre for thousands of years. It is also the most malleable metal; a block of pure gold can be transformed into gold leaf, just a few hundredths of a millimetre thick. Because of the malleability of gold, other metals such as copper and silver are added to strengthen it, creating an alloy. The purity of the resulting alloy is measured in carats (k). 24k gold is 100% pure, with no added metals. 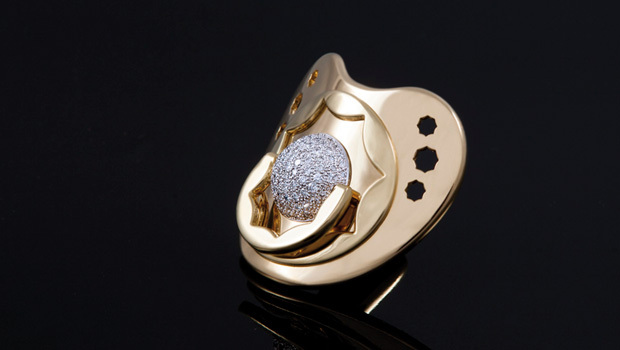 Suommo uses 18k gold for all its jewellery creations. Composed of 75% gold and also known as 750 thousandths, 18k gold contains 125 thousandths of copper and 125 thousandths of silver. 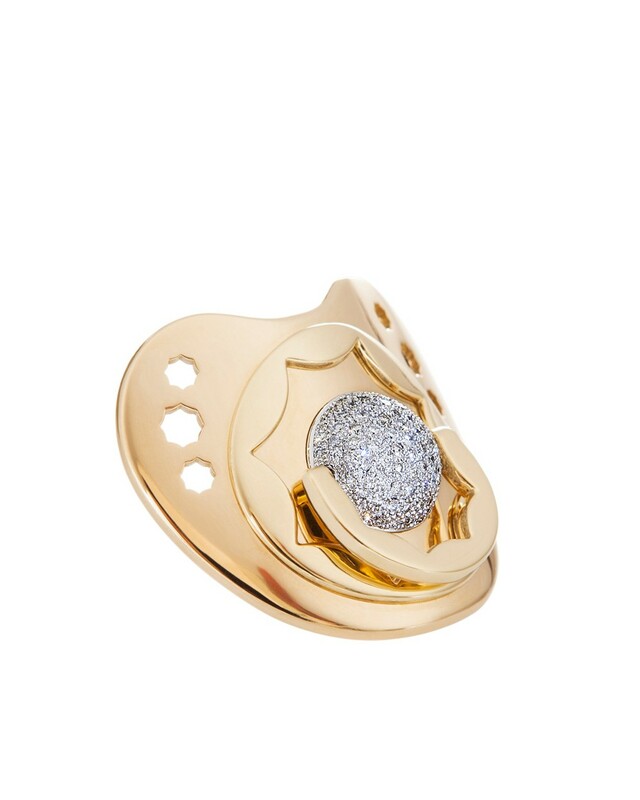 To provide customers with a guarantee of the highest quality, Suommo’s jewellers stamp all gold jewellery with a hallmark certifying its purity. In Spain and throughout much of the world, this 18k hallmark and a scale of 750 thousandths is the standard.